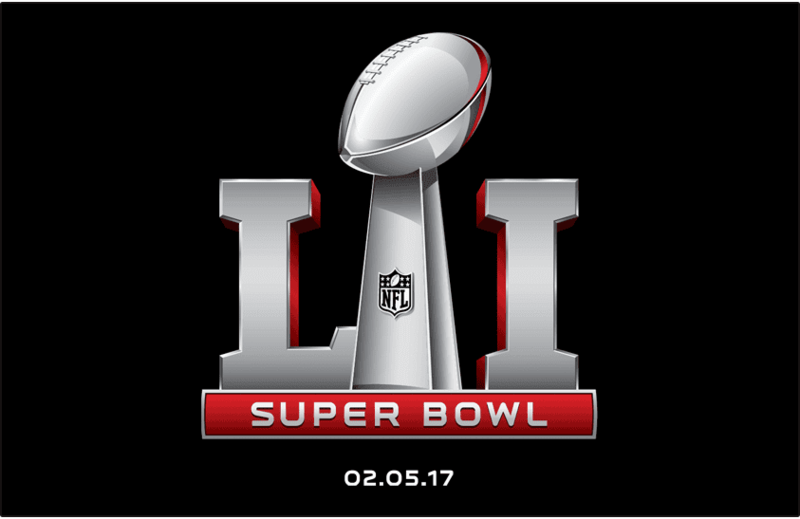 It's the Atlanta Falcons and New England Patriots fighting for the coveted Lombardi Trophy on February 5th. There are many questions that will be asked going into the big game. Who will be the Super Bowl LI MVP? Who scores the first touchdown? Will Joe Buck be clean shaven for the event? 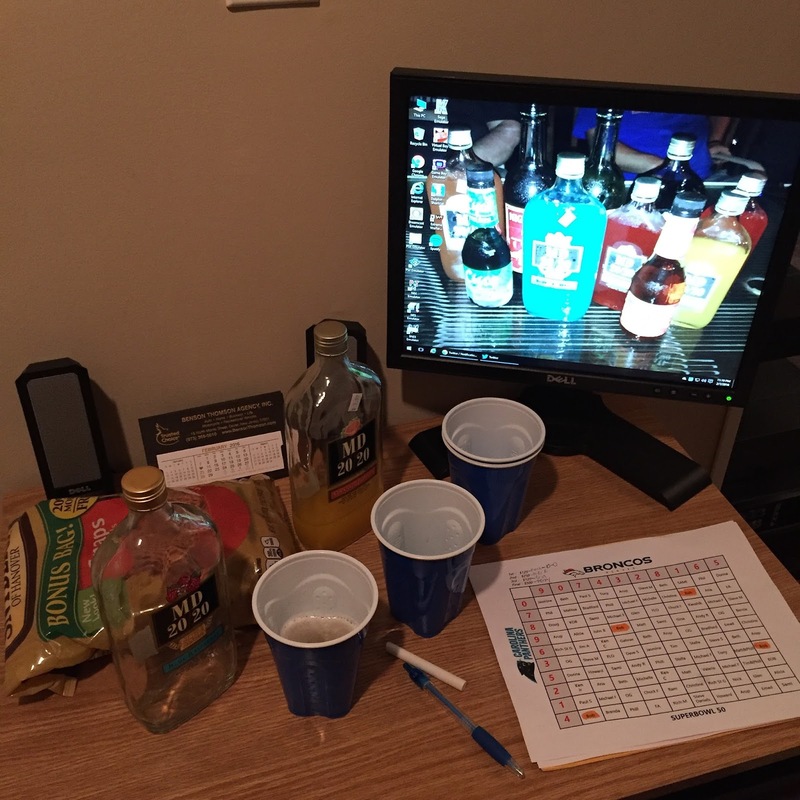 The odds to take home the trophy are in favor of the New England Patriots, but the real question is what to drink during the big game? 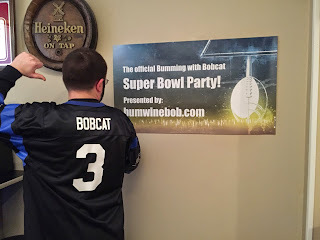 Super Bowl Sunday is one of the biggest drinking days of the year and the Bumming with Bobcat Super Bowl Party is an annual tradition that always features the best of the worst in cheap booze (since even BEFORE 2014). 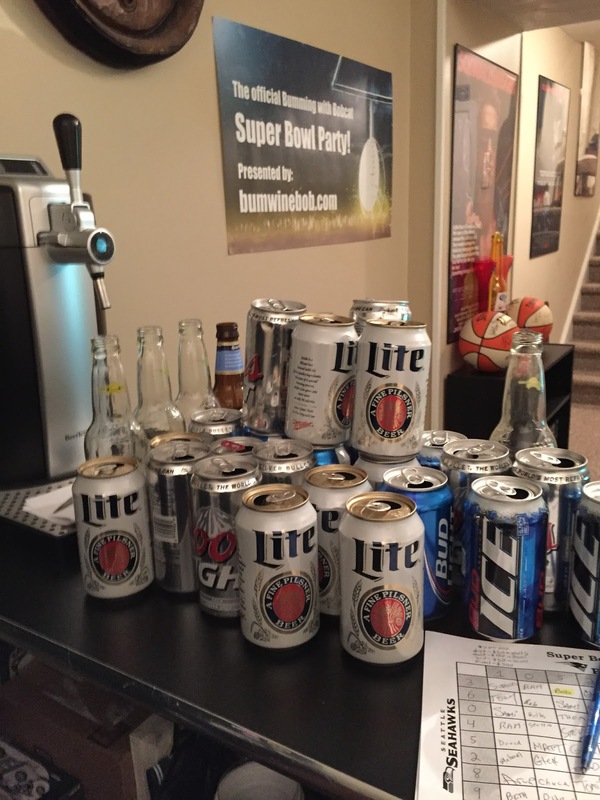 While you are feasting away on various finger foods and yelling at the TV when the numbers don't come out in your favor in one of your Super Bowl box pools, what do you wash it all down with? 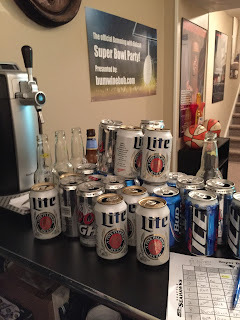 A portion of the BWB Super Bowl aftermath. If you are one of the lucky ones that has Monday off, do you go balls to the wall with a bottle of your favorite bum wine? Do you take it slow and enjoy a few beers? These are all import decisions to make even before the game kicks off. We know that the flow of the game can also be a big factor in your drinking decisions especially when it's two teams you have no interest in. Atlanta Falcons or New England Patriots? No thanks. I'll take a bottle of MD 20/20 instead. MD 20/20 for Super Bowl LI Champion! It's been no secret that ratings were down during the 2016 NFL season as many people were tuning out of the product. Some people have said that there has been an over-saturation of the brand with the addition of Thursday Night Football and the same crappy games payed in prime time. Are you one of the few people anxiously waiting for the return of the XFL (or at least the documentary)? All are valid reasons, but I think most people just don't want to listen to Cris Collinsworth talk twice a week. 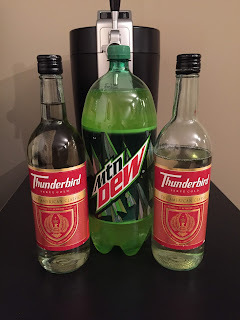 I will be rooting for an Atlanta Falcons victory, not because of my hatred for the New England Patriots, but so we can all celebrate with a bottle of Thunderbird Wine! 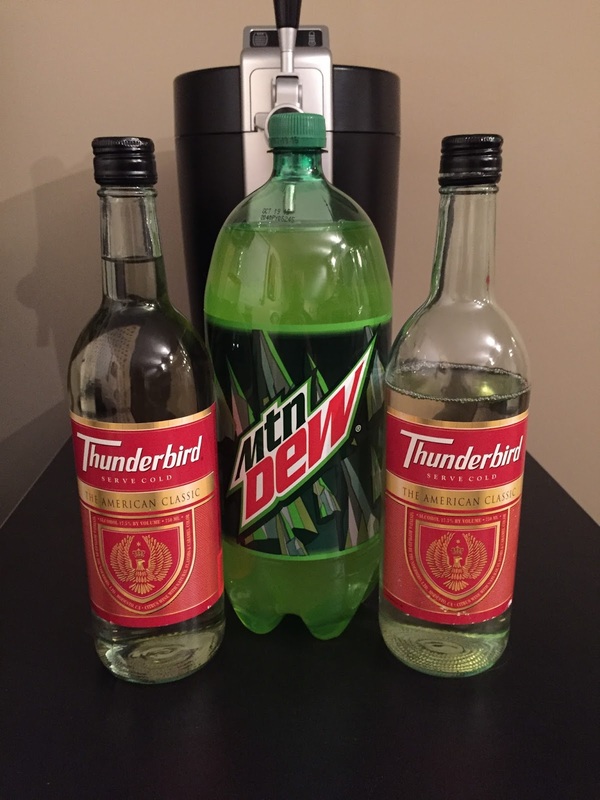 The dirty bird and some Thunder Dew will be on tap for the winners! Enjoy the big game along with some tasty beverages! Cheers! With the 2017 BWB Budget Beer Tour currently underway, we are getting you ready for the big game with this weeks edition of Bumming with Bobcat! Not sure what tasty alcoholic beverages to enjoy during the big game? Bum Wine Bob has you covered! Remember to check out the new BWB merchandise by our friends What A Maneuver and help support bumwinebob.com in 2017! Listen to "BWB Super Bowl LI Preview Show" on Spreaker.